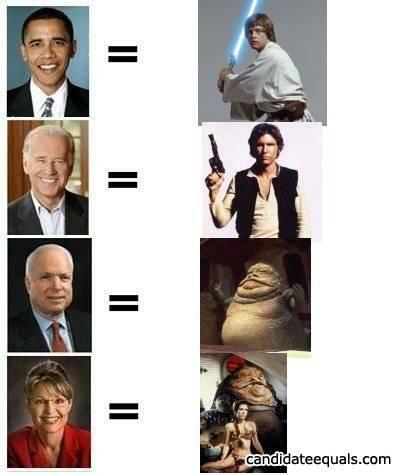 You're right, but Leia (as Jabbas slave) just looks good and is his little toy. THAT equals McCain AND Palin in one picture! why did the computer monitor stop working? Becasue it has a date with a slice of cheese.